The increase in couple travel blogs has been great to see. When we started our travel blog back in 2015 the term “couple travel blog” was still a small niche. But now there is a mini army of us! If you have been following us for a while, you may have seen our top travel blogs to follow in 2016 and 2017. It has been an excellent way for us to meet and introduce you to these incredible couple travel blogs over the years. This year we are featuring 14 travel blogs. We have noticed a few of these travel blogs over the years and a few we just recently discovered. On a side note we have just moved to Cascais in Portugal(around 40 mins north of Lisbon) so will have plenty of Portugal content coming your way soon. If you are a couple travel blogger make sure to join our Facebook group here. 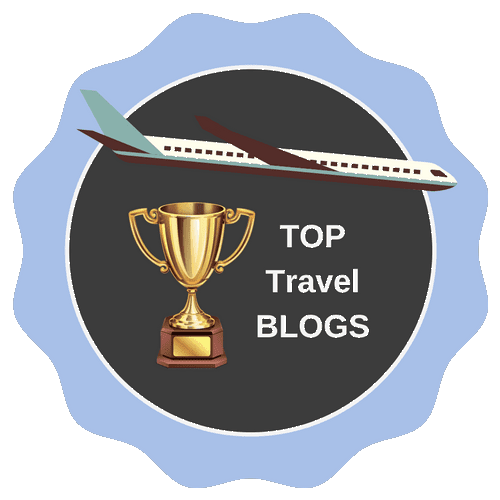 Alrighty then, let’s get to our top 10 travel blogs! These are in no particular order but all incredible travel blogs! Calling Tasmania home for more than ten years, Andrew and Karen are now two travelling foodies that love to get off the tourist trail, seeking out authentic, local dishes that make their taste-buds sing. Join them at Fork + Foot as they continue their never-ending quest for the world‘s best street food! Margherita and Nick met in the dusty corners of a London food market in 2004, and they’ve been inseparable ever since. The love of travel is what brought them together, and in 2009 they left London to backpack around the world for two years. After that, they couldn’t quite ‘settle’ back into normal life – so they continued travelling and sharing their stories on their blog The Crowded Planet, online since 2013 and focusing on sustainable nature and adventure travel. Their favourite things (in no particular order) are hiking, eating street food, finding the best craft beer bars, and spending time with their cat Tappo. Sam and Natalia met in a hostel in Auckland and since then have spent most of their time travelling together. Just a few months after meeting, they had the idea of starting an Instagram account to share pictures from their travels. In mid-2017 they launched the Something of Freedom blog to run alongside the Instagram account, sharing destination guides and travel tips in the hope of inspiring others to travel. Wherever they go, they try to discover lesser-known spots, from hidden waterfalls to secret beaches. That’s not to say they won’t visit more popular attractions like Machu Picchu though! Since meeting in 2015, they’ve travelled through Central America, South America, Asia, Europe and Oceania, with highlights including Iceland, Colombia and staying in a favela in Rio de Janeiro during carnival! Mel and Marcus are a married couple in their 40’s from a little seaside town in South Wales. Their blog is about their adventures, their travels, their explorations, their laughs, and hopefully not too many arguments! With a zest for life and some cheeky banter, they cover affordable luxury travel from the UK to Europe and the USA on their blog and Youtube channel Fly Drive Explore, which was highly commended in the UK Blog Awards 2018. Can Travel Will Travel follows my husband Andy and I as we travel, live, and work abroad indefinitely, after leaving the UK in 2016. Our aim is to inspire and encourage others to follow their dreams, to visit new places and immerse themselves in new cultures, sample new foods, experience new activities, and to undertake new challenges. Our journey involves stints of travelling, followed by longer stretches living and working in one place. We spent the first quarter of 2018 in Cuba and Mexico and are currently back in the United Kingdom from where we will travel to other European destinations. Our 2019 plans include several months in Central America, after which we’ll base ourselves in SE Asia again for a while. Dan and Michelle fell in love during an incredible trip to NYC. Since then, they’ve gotten married and explored even more places together; from stateside trips to California, Seattle, and Florida, to adventures in Costa Rica, Ireland, Spain, Italy and France, and more. They also love trying new things in their hometown of Austin, TX. Whether it’s checking out local restaurants or the latest music festival, taking a flying trapeze class or breaking in the man-made surf park, they’re always up for trying something new. On Honeymoon Always, we write about our travels and are here to help you plan your first honeymoon, anniversary or something as simple as date night to keep you in the honeymoon phase. We’re Elaine & Dave, also known as The Whole World is a Playground, an adventure-loving couple with a passion for travel! We’ve swam on the edge of Victoria Falls, watched the sunrise over the temple plains in Bagan, slept under the stars in the Jordanian desert, navigated glaciers in Norway, danced with Mariachi bands in Mexico City and slept in monasteries, caves, ryokans, tents and capsules! Our happiest times are wandering with a camera in our hand, and you’ll usually find us planning or taking off on some sort of adventure! We are Sarah and Kris, better known as JetSetting Fools. We became full-time globetrotters in April 2014 and are still on the move! For our readers, we provide travel stories, information, advice and tips on sights and walking tours, but include off-the-beaten-path adventures, history and culture along the way. We often veer away from mainstream tourism and in the direction of ‘real life’ seeking local experiences and traditional fare. Ros and Alan are professional travel writers and co-founders of Frequent Traveller. This popular travel blog features a range of travel styles that will take you on a journey across the world. From luxury to budget, Frequent Traveller share experiences that encourage and inspire others to travel. Alan and Ros like nothing more than immersing themselves in the local culture, trying new cuisines and discovering the art and history of the places they visit. Some of their adventures include exploring the spa towns of the Czech Republic, a trek to exotic India, sampling the wine in Chile and living an expat life in Thailand. Tom and Anna are the dynamic duos behind the popular travel blog Adventure in You. After meeting one fateful day in Vietnam, they have spent the last four years travelling the world together. Passionate about inspiring people to do more and create unforgettable memories, they create personalized destination advice, travel tips, and more. Starting their blog changed their lives which is why they are passionate about sharing their knowledge with others through their blogging school. This is where they write income reports, teach classes on how to start a blog, and how to eventually grow and monetize your blog. Hi, we’re Heather and Pete, UK travel bloggers with a penchant for castles, afternoon tea and all things Morocco. Our travel style is “Adventure by day, Luxury by night”, so whilst you’ll find us learning to plough rice paddy fields with water buffalo in Laos, and hiking unknown Inca trails in Peru, you’ll also discover that we love sleeping in quirky comfort, whether it’s in a decadent tree house deep in the Amazon Rainforest or a renovated corn mill in Yorkshire. We have plenty of mishaps along the way, from being wrongly arrested for smuggling in the Galapagos to being caught in a shoot-out in Lesotho, but firmly believe it’s “all part of the adventure”. We’re known for our ‘expertise’ on Morocco, a place we fell in love with many moons ago and somewhere we return to at least once a year. If you’ve been wondering about where to stay in Marrakech or what it’s really like to go camel trekking in the Sahara, then you know where we are! Based in Atlanta, Bret Love & Mary Gabbett are partners in life, love, business, and adventure. They started their ecotourism/conservation website, Green Global Travel, in 2010 with a passion for exploring the world’s nature, wildlife, history, and indigenous cultures. From trekking to see Mountain Gorillas in Rwanda to small ship cruising in the Galapagos Islands, from camping with Bedouins in the deserts of Jordan to parading with Mardi Gras Indians in New Orleans, the couple shares stories of transformative travel experiences that strive to make a positive impact. They’ve been named one of the Top 5 Travel Blogging Couples in the World by USA Today and featured in the National Geographic book, Ultimate Journeys For Two. They frequently speak and teach at conferences around the world on topics ranging from responsible travel and community-based tourism to travel writing and branding for bloggers. Amber is a recovering attorney and professional eater, who travels the world With Husband In Tow. They are passionate about finding great local food and wine, and about learning the stories behind the foods and the people who produce them. They’ve lived in Bali, Bangkok, and now call Girona, Spain, home. After six years of travel and over 70 countries, they know a thing or two about culinary travel and can provide great tips on how to eat well while exploring a new destination. Amber is also the author of The Food Traveler’s Guide to Emilia Romagna: How to taste the history and tradition of Italy and the upcoming The Food Traveler’s Guide to the Costa Brava. Lina & David run the popular travel blog Divergent Travelers and have been travelling the World together since 2003. They bring forward an action-packed style of adventure travel highlighting exotic destinations, cultures and activities with their award-winning photography and writing. They capture travel in a way that excites even the most devoted couch potato. Some of their greatest adventures involve over landing through Africa from Cape Town to Cairo (they camped for 119 days straight), diving some of the best dive sites in the World, hiking for 3 days on the Great Wall of China, camping in the jungles of Sumatra, skydiving in New Zealand & Namibia and so much more. As you can see from above, there is a great diverse range of people. Some young, some old and some who focus on adventure. 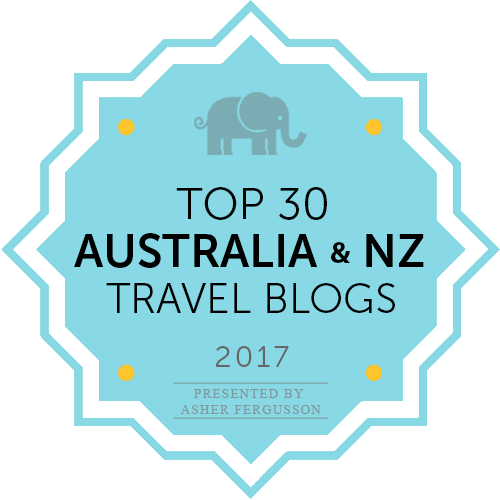 While we would love to include the hundreds of other travel blogs we had on our list it just isn’t possible right now. Are you thinking about starting a travel blog in 2019? Great!! It is never too late and still entirely possible to break through. Have a read through our guide to starting a travel blog here. On a final note be sure to Pin the following image to your Pinterest board for some pinspiration(real word surely?). Thanks so much for stopping by, hit that share button and we hope to see here again sometime soon. Any other travel blogs you love? Comment below. Steve and Sabina ~ Travelling the world one sunset at a time. P.S Check out 2016 + 2017 articles for more travel blogs inspiration!